Philomena was startled awake by Rainhart&apos;s shout. She sat upright, seeking through the darkness. Then she heard a bark, and smiled. "Briga!" said Rainhart, and then added, "Oof." "I am glad to see you two here," said Cervin, no more than a silhouette in the gloom. Philomena made out two more figures beside him. "We&apos;re all here?" "Yes, thanks be to the Blessed few." "Brother," said Princess Holle in her dry way, "I trust you&apos;ve had as much fun exploring the countryside as we did." "Briga, down," said Rainhart, ruffling her fur. "We climbed a tree." Philomena looked at him curiously; they had done a great deal more than that. An image flashed in her mind of Rainhart throwing himself on the soldier, rolling and binding him with violent efficiency. "How rustic." Holle yawned. "And now, I think, I will try and get some sleep." In the morning, they swapped stories. The others had also been chased, but Briga had turned on the two scent hounds snapping at their heels and in a short, bloody fight, had severely injured them, making it impossible for the second rider to follow their trail. "My girl has taken down grown wolves," said Rainhart proudly. "Of course scent hounds were no challenge." Still, they broke camp before dawn and moved quickly out of the area, following the creek for a while, then turning west to take the slightly longer route that crossed into Jovan sooner, rather than following the border north. For two days they walked without talking, slept with one eye open, and snatched bites of food without resting. Every rustle or snap made them all freeze like startled deer, and Rainhart insisted on taking the rearguard position so that Briga could range behind them, alert for any pursuit. Finally, one afternoon, Cervin stopped and checked his map. He looked around, then said, "Your grace, your highnesses, welcome to Jovan. Lady Philomena," He paused, and said with a flicker of a smile, "welcome back." Philomena released her breath and looked around. Home, she thought tentatively, but it rang hollow. Jovan wasn&apos;t her home, and nor was Deusetats. She wondered whether, if she returned to Alysia, that would be different, or whether she was condemned to be a stranger everywhere. "How much further to Querca?" she said. "Another few days," said Cervin. "We should keep moving." It was true that knowing they had left Deusetats lifted a weight from Philomena&apos;s shoulders. At least for now, they were safe. She saw Rainhart and Holle&apos;s spirits lift too. Tancred, though, walked with stooped shoulders, withdrawn into himself. 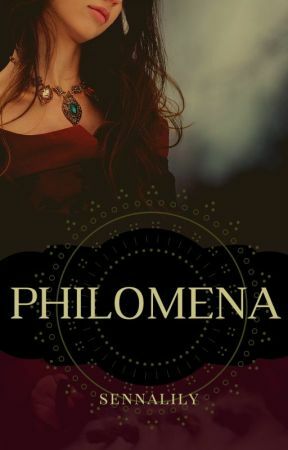 Philomena watched him with worry. He had always been so kind to her, but there was nothing she could do to ease his pain. They reached the village of Querca a little over a week after they had fled Breg. Lord Valentin&apos;s hunting lodge was a short walk out of the town. One moment they were walking up a long road through the forest, the next the vista opened up and they were in a small, neatly-kept garden, looking at a two-storey villa. "What a charming residence," said Tancred. "Beds, blankets and baths," said Holle. "Come on, let&apos;s go and introduce ourselves." 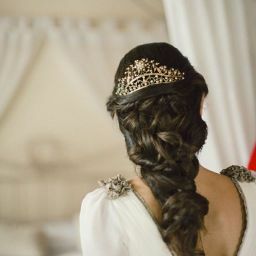 She looped her arm in Philomena&apos;s, and they followed Cervin up the path to the front door. Cervin knocked several times, and after a moment, it opened. An attendant stood in the doorway. He looked them up and down. "This is Crown Prince Tancred, Princess Holle and Prince Rainhart of Reuz, and Lady Philomena Sylvanus. I am Cervin, Lord Valentin&apos;s man. I believe you were expecting me."